“Zimbabwe’s army says it is not mounting a military takeover, insisting that President Robert Mugabe and his family are safe and sound. 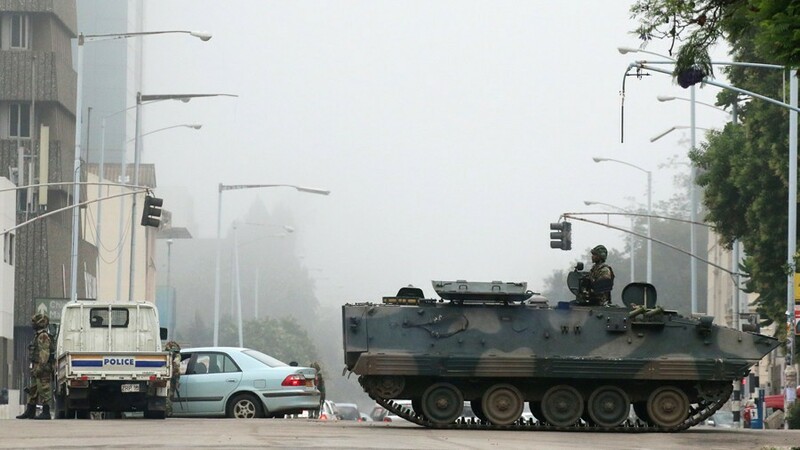 “The statement broadcast on the state-run Zimbabwe Broadcasting Corporation came after a night of unrest during which armoured vehicles took to the streets of the capital Harare, while explosions were also heard. “”We are only targeting criminals around [Mugabe] who are committing crimes that are causing social and economic suffering in the country in order to bring them to justice,” the army said. Hilarious Apple iPhone X Parody Video | Introducing The $1,000 Emoji Machine!